Apple replaced a total of 11 million iPhone batteries under the $29 battery replacement program that was introduced at the end of 2017 and ran through 2018 before ending on December 31, 2018. The tidbit was shared by Tim Cook at a recent all-hands meeting with Apple employees and relayed by Daring Fireball's John Gruber, who heard the information from an unnamed source. Apple replaced approximately 9 to 10 million more batteries than it would have during a normal year, said Cook. Apple normally replaces 1 to 2 million batteries each year. Cook cited the battery replacement program as one of the reasons why Apple's Q1 2019 guidance was cut earlier this month after poorer than expected iPhone sales. Apple now expects revenue of $84 billion, down from a November estimate of $89 to $93 billion. It's not entirely clear why Apple didn't know how the battery replacement program would impact sales earlier in the year given that it ran throughout 2018, but Gruber speculates that while Apple knew battery replacements were higher than normal, the true effect of the replacement program did not become known until the new iPhone XS and XR models were released and fewer people upgraded. 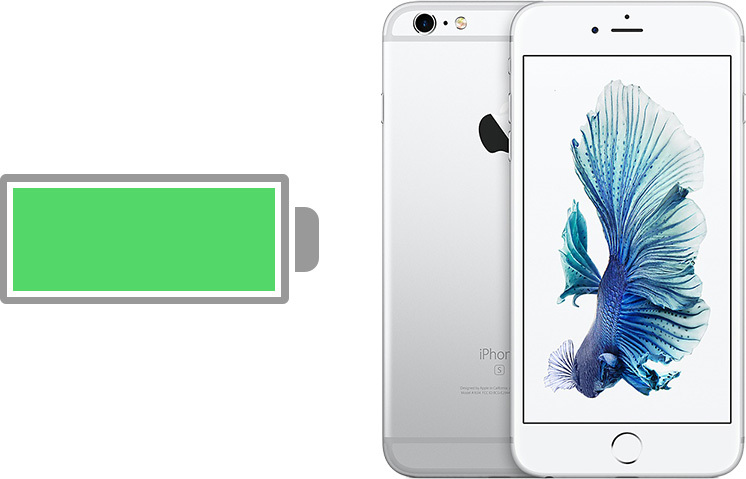 Apple initiated the $29 battery replacement program after outcry over an iOS 10 update introduced a power management feature that slowed the performance of some older iPhones with degrading batteries. The power management features were designed to prevent unexpected shutdowns and prolong the iPhone's life, but some customers saw it as proof of planned obsolescence. Apple apologized for the misinformation and introduced the discounted battery replacement program to appease customers. In a device with a degraded battery that is experiencing slowdown issues because of performance management software, replacing the battery restores full functionality, which undoubtedly led some customers to stick with an older iPhone rather than upgrade. In February 2018, Cook said that Apple had not considered how the battery replacement program would impact iPhone upgrade rates, but it's clear it ultimately had an impact on Apple's bottom line. "We did it because we thought it was the right thing to do for our customers," said Cook at the time. "I don't know what effect it will have for our investors. It was not in our thought process of deciding to do what we've done." "We did it because we were caught slowing down phones without telling users, and had our arses sued to hell and back". Fixed that for you Timmy. Or maybe the battery replacement helped keep IPhone users from jumping ship to cheaper non Apple devices. I know they want to point the finger at this being bad for future IPhone sales, but perhaps it kept some people in the Apple family who otherwise couldn’t afford to upgrade. Just a thought. I have no facts. Wouldn’t have done it at the old $80 price. Odd decision. Better to spend $1,000 on a new phone then $79 on a new battery? Odd decision. My iPhone 6S Plus was shutting down and rebooting when the battery was low and the ambient temperature was very hot or very cold, until the update that "slowed down phones". Once I had installed that update, those issues stopped, but the phone ran slower. That's nothing to sue over. Remember the good old days, before Apple started the trend of gluing things shut, when you could simply pop the back off a phone and replace the battery in seconds without any tools or worrying about breaking things. I was more than Happy companies like Samsung kept their plastic backs so you could so easily do this, but again and again they were criticized for having a plastic back so they followed Apple's terrible route. In reality so many people put their phone in a case anyway, and a easy to replace back gives you the option to change colors and replace a scratched back with a new one. You weren't paying attention then to Apple's behaviour in how they delivered and tried to cover it up. I, and I'm sure almost everyone else agrees that a phone that's throttled is better than a phone that's randomly shutting down. The problem is, Apple didn't tell it's users that was what was happening. When asked if they throttled old phones, they outright said "no". During this "No" phase, if users came to Apple stores complaining about slow devices, Apple would push users to buy new devices instead of replacing the battery. In fact, during the "no" stage, Apple was not telling the stores what the root cause was. So the battery tests the stores had did not test for this sort of degradation. So when their batteries passed the old tests, Apple also refused battery service (even paid) to these users. It was only after a bunch of intrepid testers were able to verify and prove that some devices were being throttled, that Apple finally admitted that they did roll out a patch to solve the shutdown problem, and that involved throttling. Apple was forced to do the cheap battery replacement program because the very cause of the whole thing was Apple underspeccing the battery for the power draw required by their CPU's. This is a design flaw. They failed to account in the design 1-2 years down the line after a battery started to degrade, that the power output itself might not be sufficient for the CPU. So while the throttling solution over crashing phones does help and provide a work around for the underspecced batteries, it does not excuse the company for how they handled, obfuscated and tried to bury what was going on. And the evidence today about how many people chose battery replacements over new phones is prime evidence WHY they did bury it. If this affected upgrade rates then I won’t be surprised if iOS 13 has “mysterious” severe performance problems on everything that came before the X series. I had the battery replaced in my wife’s SE at the end of 2018. It will now last her a couple more years. I thought Apple came to their senses when they released the SE, but apparently they haven’t. So for now she is holding out hope that they will make a normal sized iPhone again in the next couple years—even if it’s full screen and costs a lot more—like an iPhone XE that starts at $699. That would be great for her! I’m hoping they will bring it back once they shrink the notch in the next year or two. I think the notch was just too wide for an SE sized device. Maybe in Spring 2021 we will get an iPhone XE. Cook cited the battery replacement program as one of the reasons ('https://www.macrumors.com/2019/01/02/apple-q1-2019-earnings-january-29/') why Apple's Q1 2019 guidance was cut ('https://www.macrumors.com/2019/01/02/apple-lowers-q1-2019-revenue-guidance/') earlier this month after poorer than expected iPhone sales. Apple now expects revenue of $84 million, down from a November estimate of $89 to $93 million. billions not millions, pls correct it.